How this App can save you from a car accident? Cell phones cause almost 1.6 million vehicle crashes each year. 1 out of every 4 accidents in US are a result of texting while driving. Half of the road accidents victims of ages between 15 to 44, and these age group people are most obsessed with smartphones. Now I think you believe me? How someone can put his and other people’s lives on stake just to answer a phone call? This annoys me way more than Kim Jong-Un banning Christmas and allowing only celebration of his grandma b’day! How someone on the planet earth can do so. How! And I know that I’m not alone. You get annoyed, too? Yeah? Well, I got a friend here. At present, there are dozens of apps that prevent using phone while driving by automatically activating flight mode or locking it. People still don’t use them, however. Do you know why? Because these apps are inconvenient and require you to manually block some feature before you begin driving. This more often than not gets skipped. Doesn’t this defeat the purpose of the whole app in the first place? The effective solution has arrived! Drum roll! Thanks to Seyed Doorandish, an inventor from California, for finding an awesome solution to this carelessness of people. He must have gotten annoyed like me, I can bet. Seyed recently filed a patent for a mobile app which disables the calling networks and keypad interface. This facilitates a distraction free driving. What I liked the most is its feature that disables texting automatically as soon as you press accelerators! 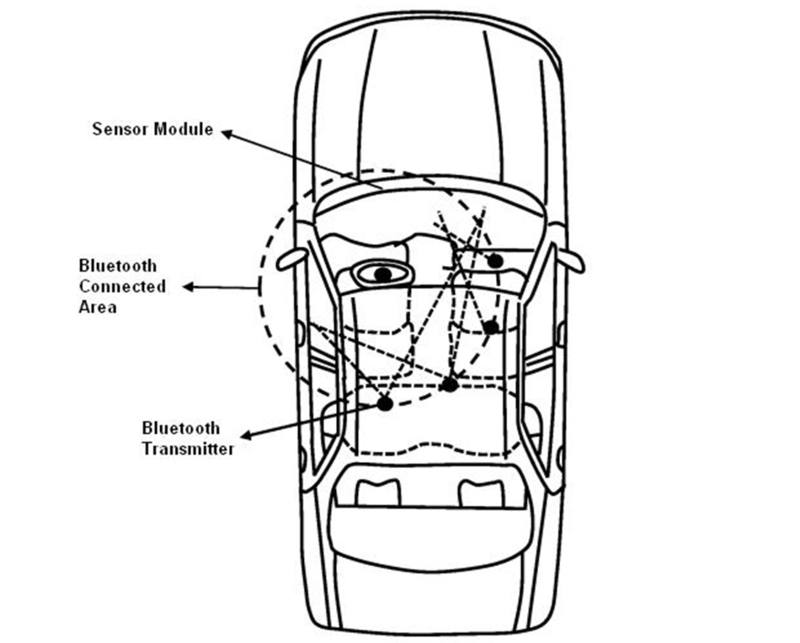 The app will use a sensor module – installed at windshield or dashboard – to monitor a driver’s facial expressions. It sends the data back to App through BT. Scroll to satiate your nerd instincts as I’ve a detailed explanation below. How the App will prevent these accidents? As soon as the App connects to your car BT, your presence in the car gets confirmed. Your phone networks, and also your smartphone’s keypad interface gets disabled automagically. For emergencies, the app provides a special button or a pattern (volume up + home, etc.) to send your phone to normal mode. It also provides preset timings (say, 10 times in a month) to let a driver call or text while driving (but, after you enter that combination). As soon as the App detects you are disconnected from BT of your vehicle, it consider end of the trip. After that it reactivates your smartphone’s keypad and calling feature, without you doing it manually. Even though it’s pretty similar to other existing apps but, it kills a big hassle of enabling/disabling the app every time you want it to function. This indeed has potential to save lives. Apart form that, LG Smartwatch can able to save many lives while driving. Next Next post: How China is Going to Explore Dark Side of the Moon?